Dyslexia is word frequently tossed about when children have problems reading or learning. Commons complaints that lead to the use of the word include letter reversals, poor reading comprehension and decreased reading fluency. These symptoms are also recognized as possible vision related problems cause by poor eye movement accuracy. Is dyslexia a vision problem or a language problem? Reading is a complex process involving language, speech, memory and other processes, but all of these processes assume that the collection of the information to be processed is accurate, ie that the eyes work correctly and move accurately. We do know that poor eye movements lead to poor processing skills because the data to be processed was not collected accurately. Does vision therapy treat dyslexia? This is also a very interesting question. 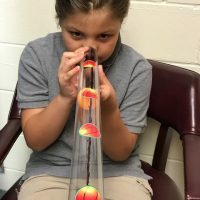 In our vision rehab practice, we frequently get children referred to us that have common symptoms of dyslexia and visual processing difficulties like reversals and poor reading skills. Following the interventions, the children have reduced symptoms and most have improved reading fluency. Some of patients do continue to have problems in reading although they show improved eye movements. At this point, we may further assess the patient using a dyslexia screening tool that can identify specific errors related to the processing parts of reading such as the decoding and encoding of words. When results indicate, we refer those children to specialists like our friends at Read-Write Learning Center at that specialize in the treatment of dyslexia. Does vision therapy treat dyslexia???? NO. Vision therapy cannot treat dyslexia. But it does improve the accuracy of eye movements eliminating many of the symptoms generally associated with dyslexia. With these eye movement problems gone, an accurate assessment of the visual processing skills and reading fluency is now possible, allowing for an accurate diagnosis of a visual processing or other reading and learning problems. Here is a video case study describing the process. *Special thanks to Hunter Oswalt, Director of the Read-Write Learning Center for her input on editing this post. 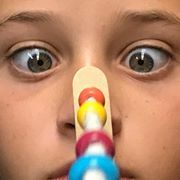 This entry was posted in occupational therapy and tagged accommodation, convergence insufficiency, dyslexia, EOM assessment, eye movements, glasses, handwriting, learning disabilities, read problems, reading, saccades, vision rehabilitation, visual motor integration. Bookmark the permalink.